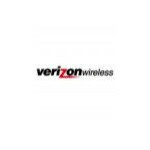 Verizon announced today the availability of two new audio channels to its VCast Mobile TV service. ESPN Radio will offer 10 broadcasts for weekdays and an additional 11 for weekends, including Mike and Mike in the Morning, GameNight, The Huddle, and NBA Sunday. Those looking for music with a Latin flair, you can now tune to MTV's Tr3s for programs like Sucker Free Latino, Karlifornia, Quiero Mis Quinces, Pimpeando, and Rock Dinner. While this is a good start, we would like to see Verizon offer more Live TV and Radio channels. source: Verizon Wireless (ESPN, MTV Tr3s). next up on espn 8, the ocho!!! its a start, but how about something that those of us can listen to besides sports fanatics and illegal immigrants?